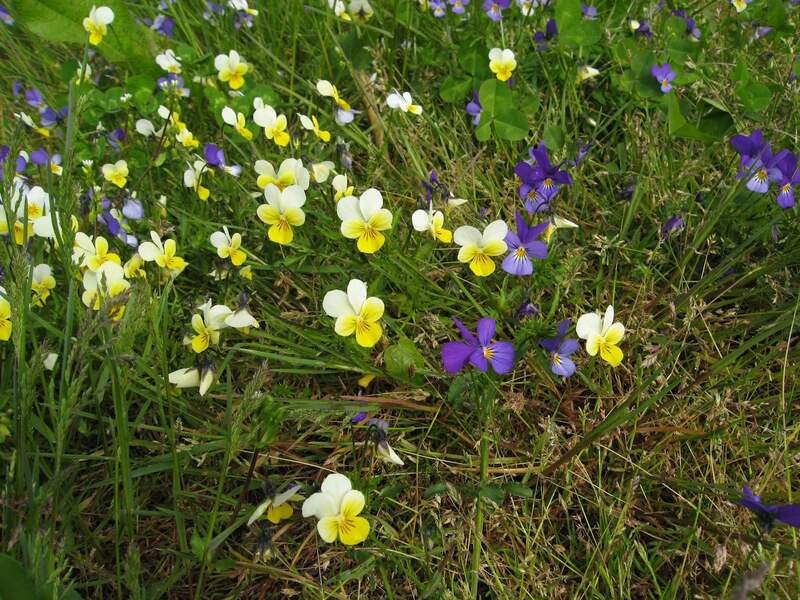 Seven species of violets and three of pansies! 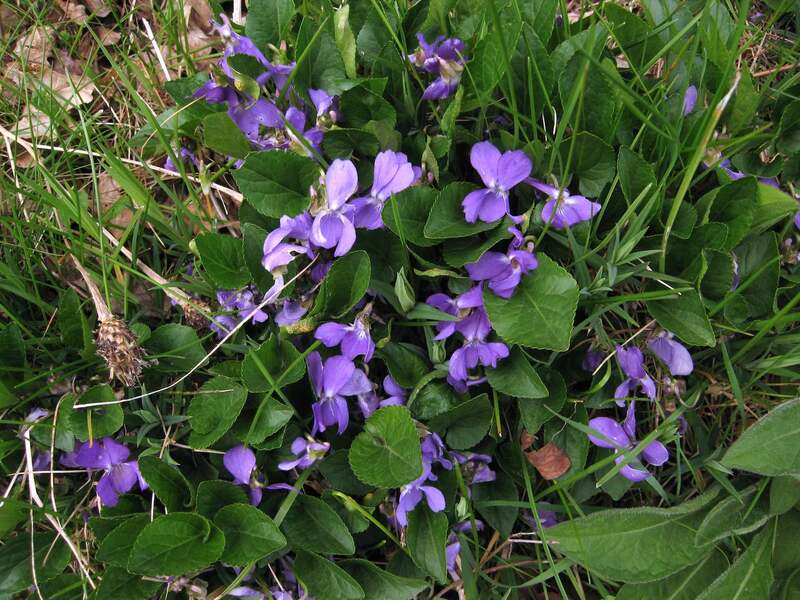 … then it is one of the dog-violets: go to Section A, below. 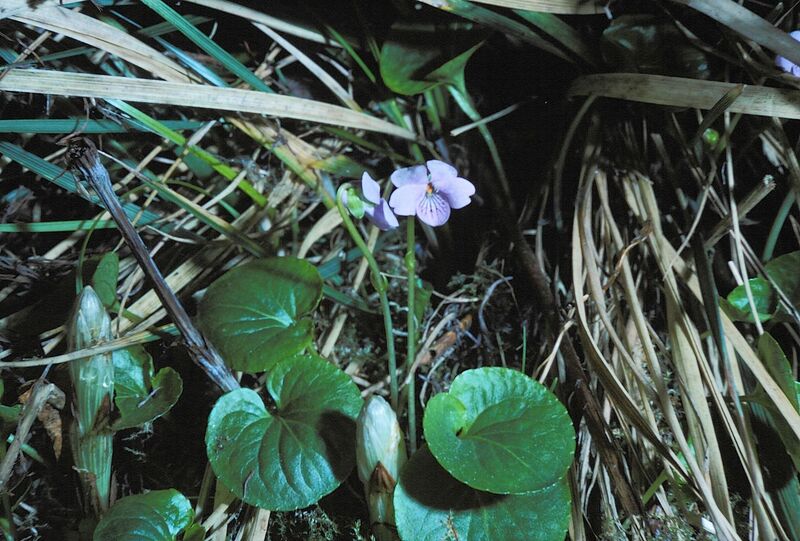 … then it’s one of Hairy, Sweet, or Marsh Violets: go to Section B, below. By far the commonest in this group, and very variable (so often prompting identification as one of the others in the group!). 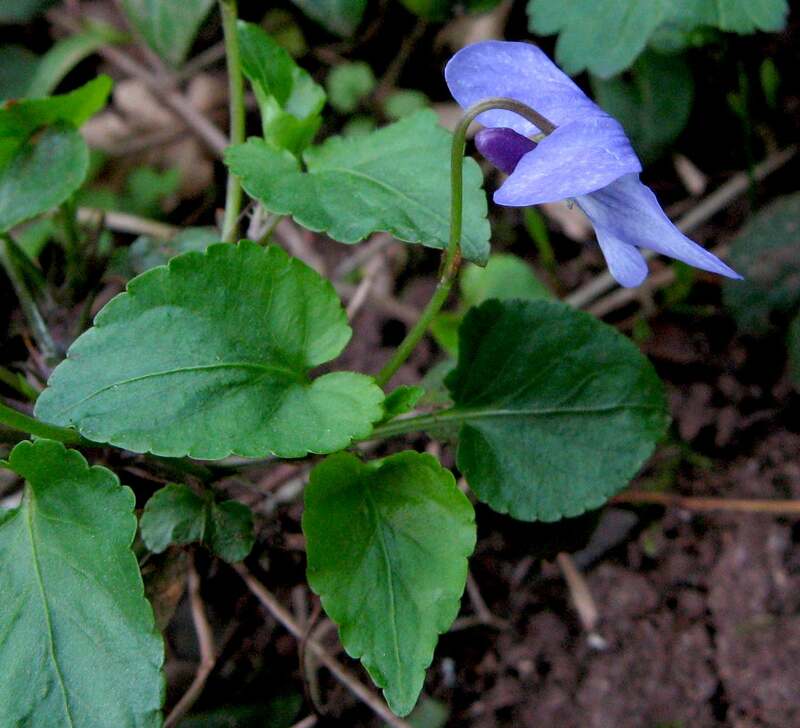 Leaves are determinedly heart-shaped, with large rounded basal lobes (often incurled). 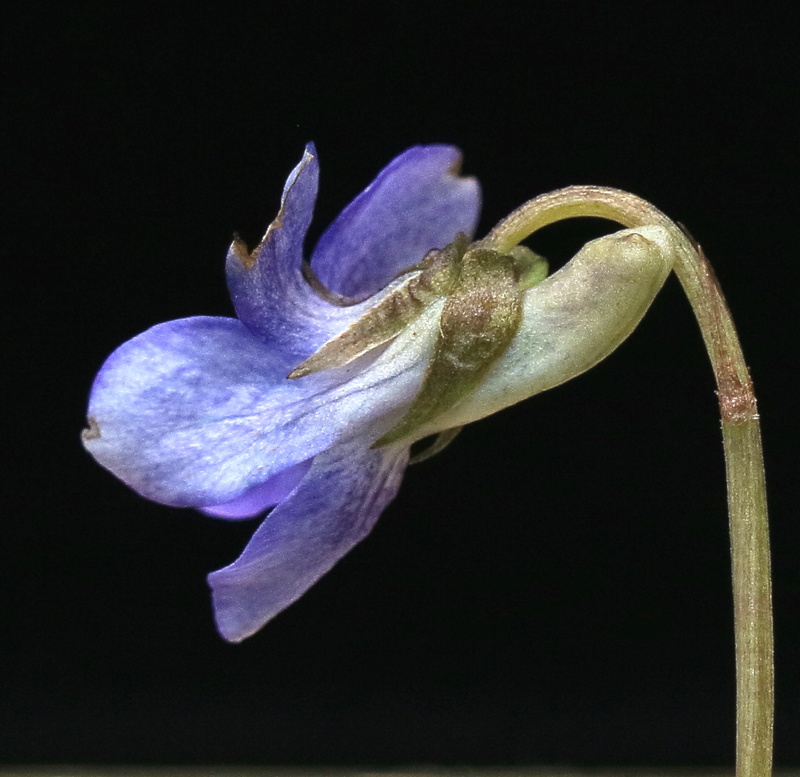 The upper surfaces almost always have a good scattering of very fine hairs (easy to miss). The spur is comparatively large, swollen and finger-like, often with a vertical notch in the end, and pale – any colour from white to violet, but almost always clearly paler than the petals. 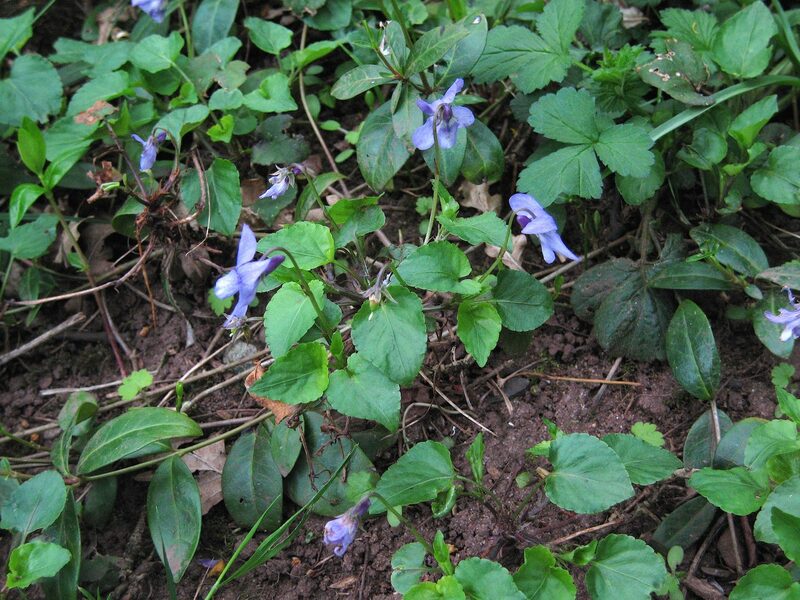 occupies limestone woodlands in the south of the county. 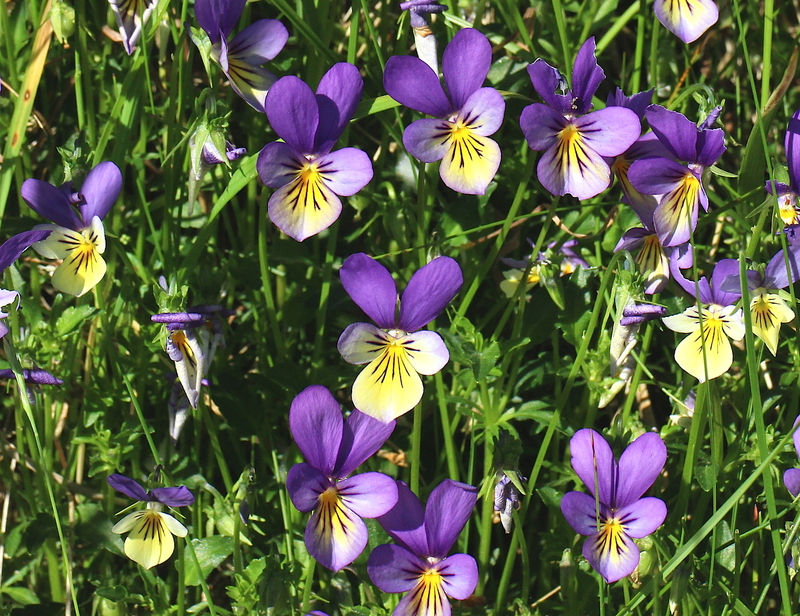 Plants not agreeing with these criteria – e.g. off the limestone; not in the south – should be looked at with much caution before naming as this! 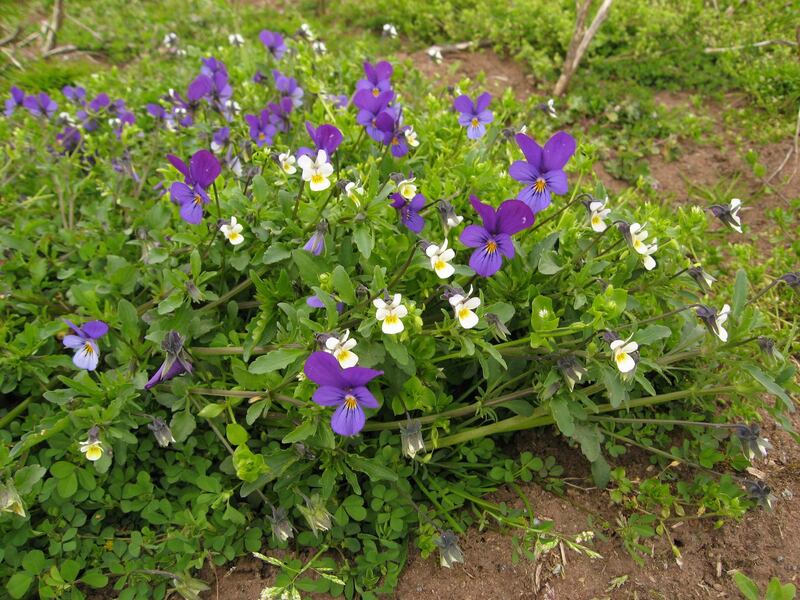 The leaf-blades tend to be rather longer in proportion, and less hairy, than in riviniana, but other differences are somewhat trivial. What a beauty this can be! 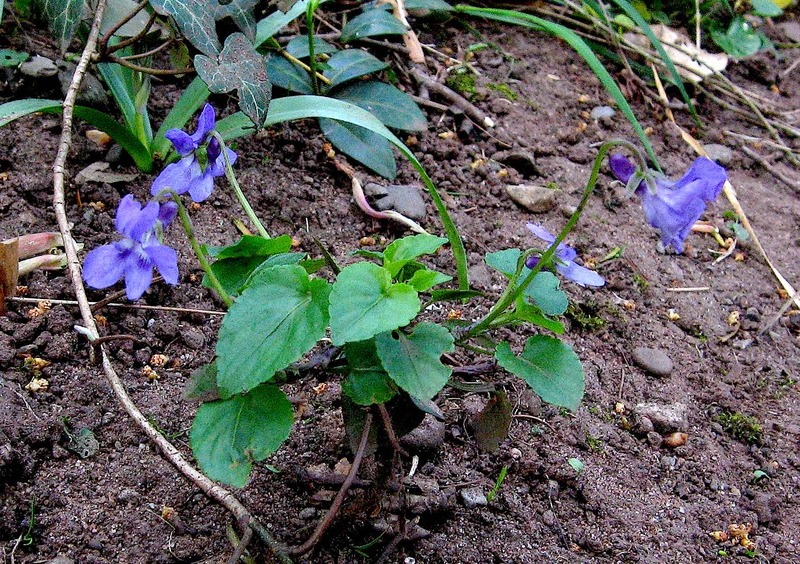 Typically a compact and low plant, it has a quite different strategy: there is no persistent woody ‘trunk’, and instead flowering branches arise each year from a persistent rhizome. 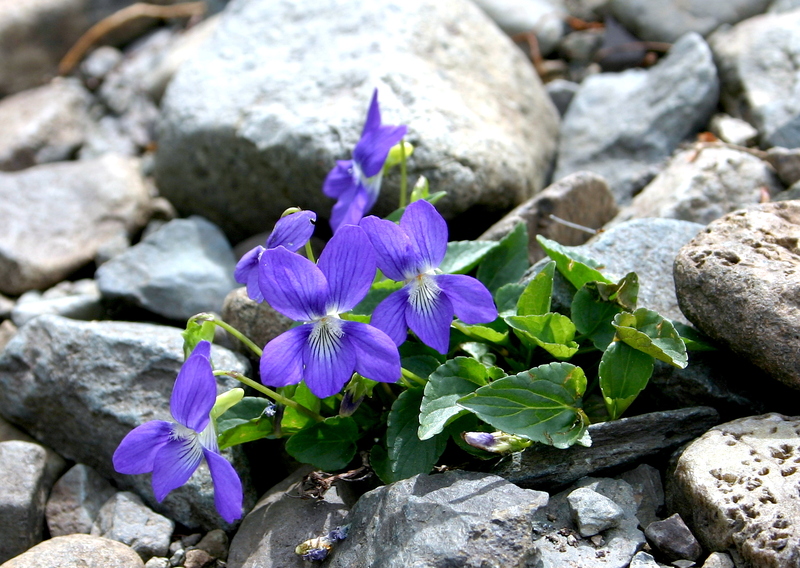 The leaves are subtly different from riviniana, being a colder colour of green, and more triangular with straighter sides, and with the surfaces between the veins more raised, and more sparsely hairy, or even hairless above. 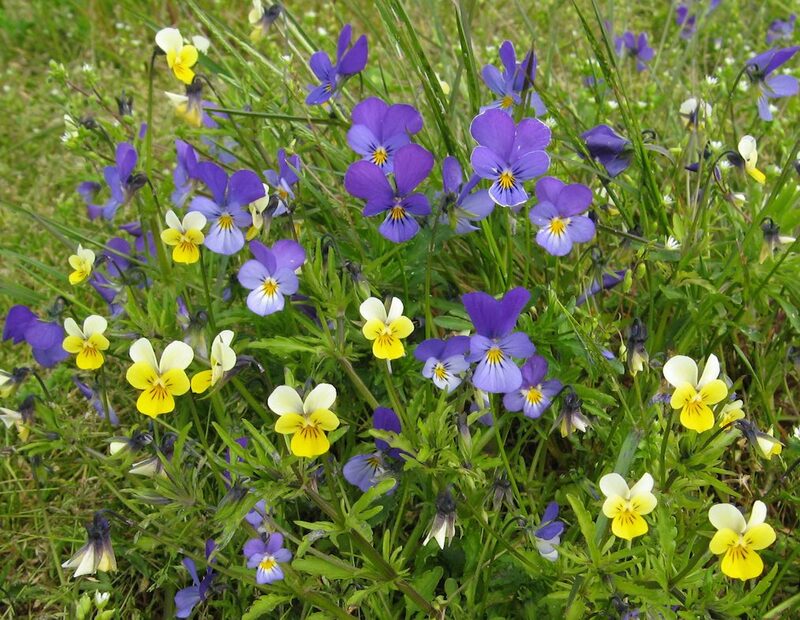 The flowers are rather later than in riviniana, and are a bluer shade of violet, and the spurs are distinctively pale and a bright greeny-yellow. Forms patches, owing to strong runners (stolons). 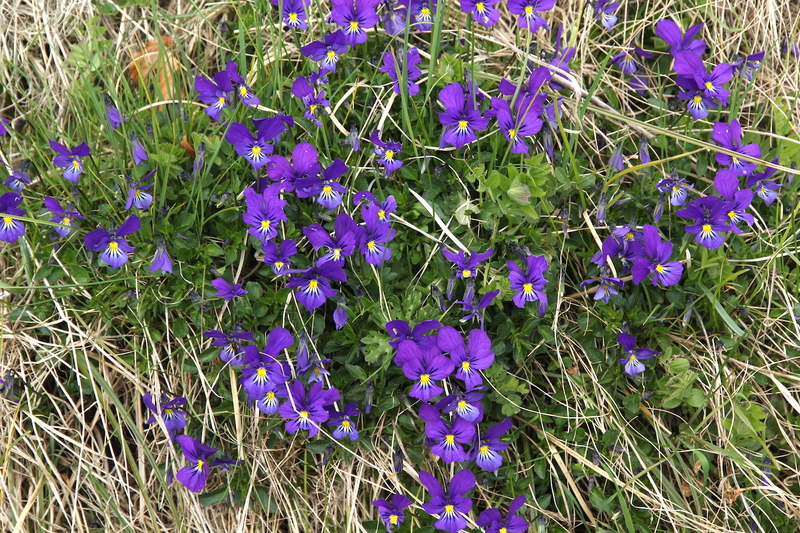 Flowers either purple-violet, or white with a purple spur. 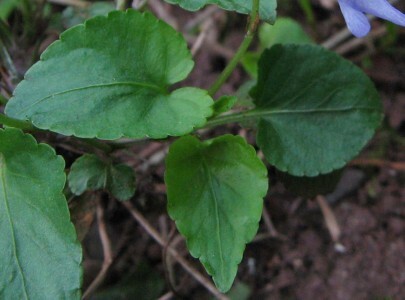 The rounded blunt-tipped leaves enlarge through the season. Strongly scented. 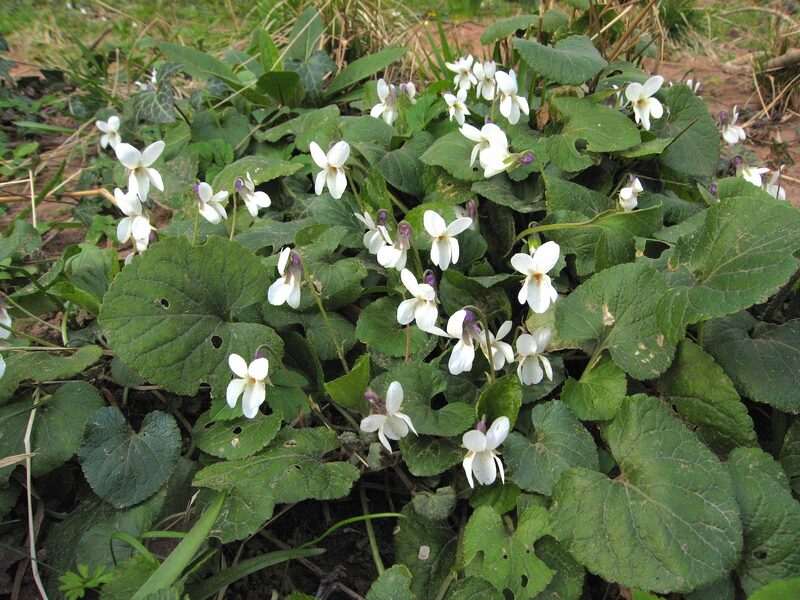 Locally common in the south of the county, rarer elsewhere, but many colonies grow in impermanent habitats (lane-sides, sandy river-banks, etc.) 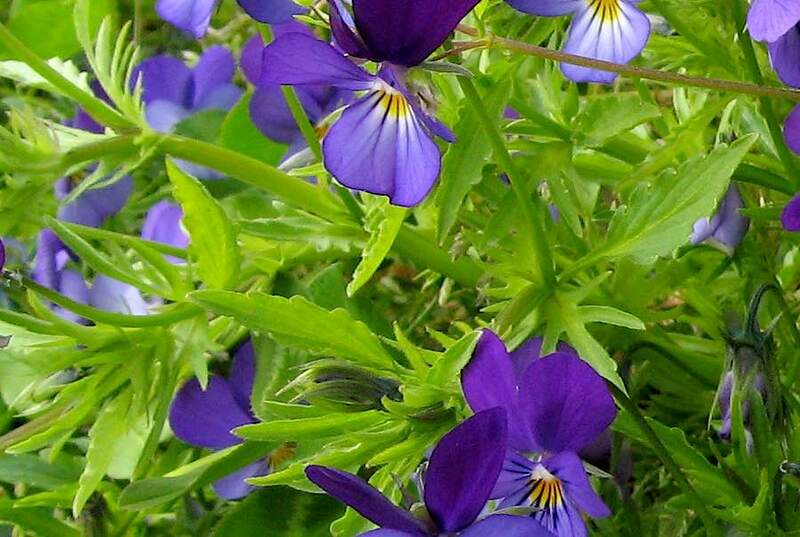 and appear to have their origins in gardens. 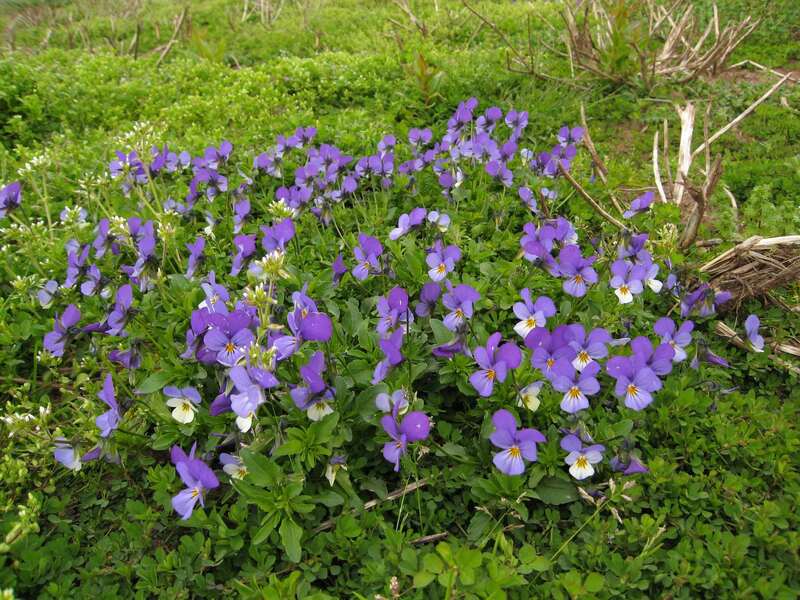 Makes dense plants from a single rootstock – i.e. lacks stolons. 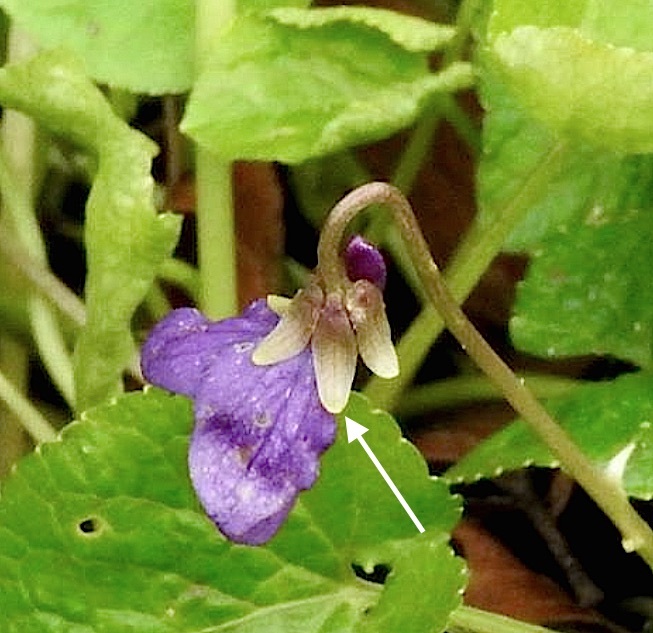 Leaves longer and narrower than the previous, more hairy: the leaf-stalks are conspicously hairy with dense, sightly downward-angled hairs. Again, leaves enlarge through the season. 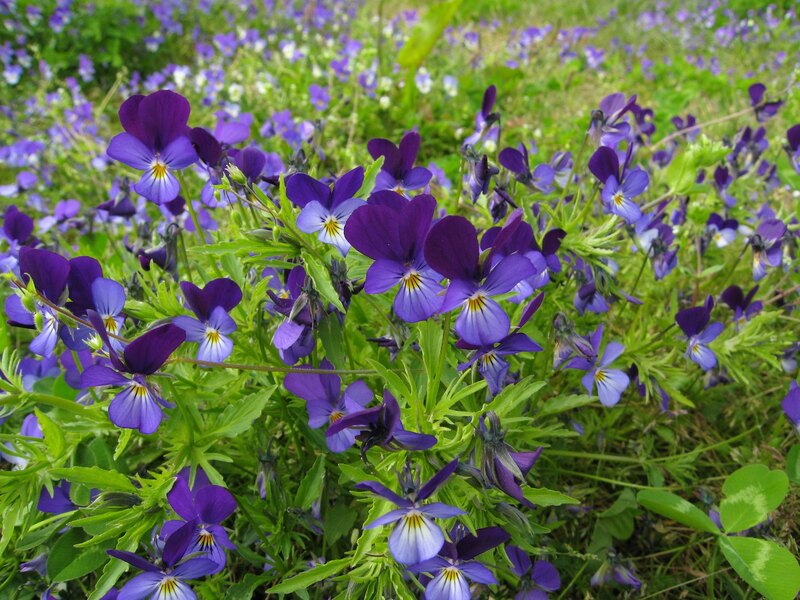 Scentless violet flowers. No white form. 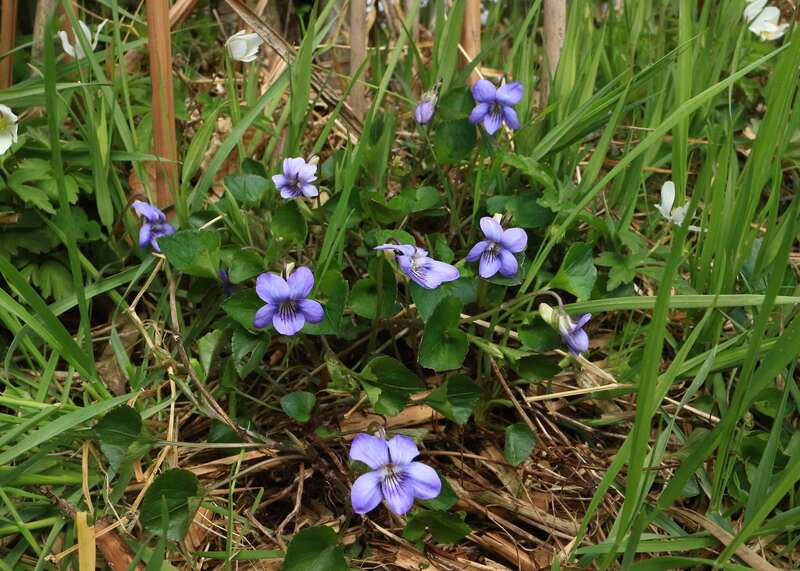 Makes patches of very rounded leaves, with no ‘tip’, in flushed marshy ground of all sorts. 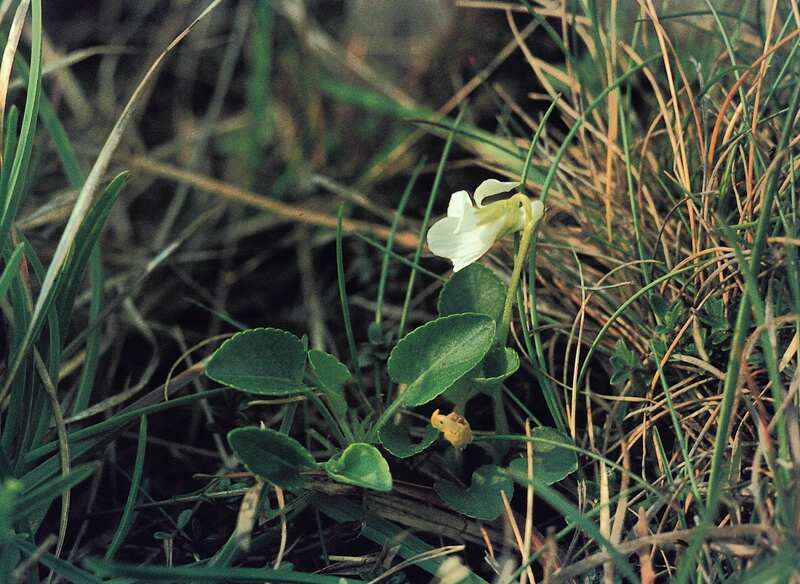 There are no above-ground stems, the leaves arising from underground – or ‘undermoss’ – rhizomes. 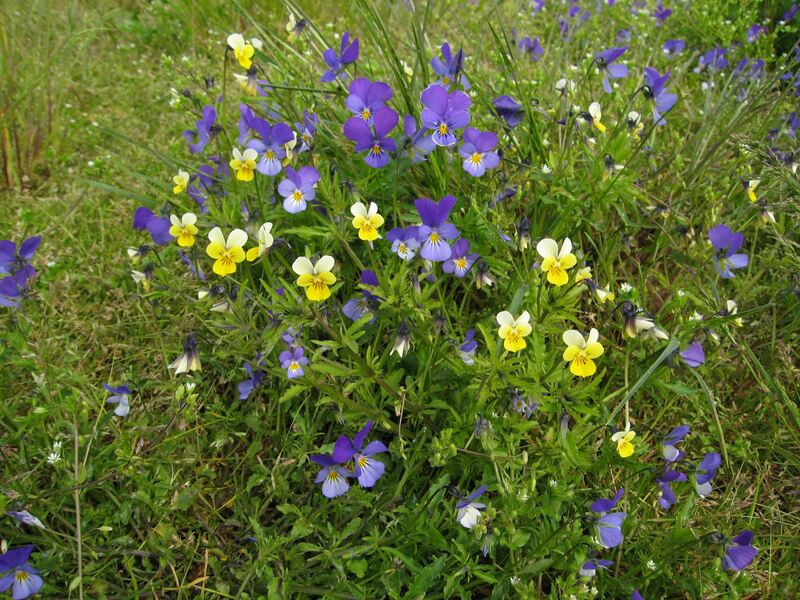 Small pale flowers. 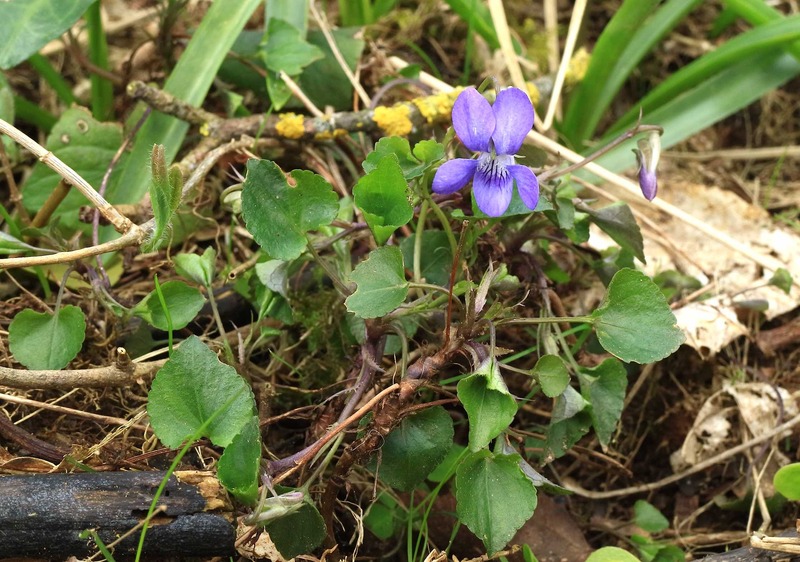 Often the last violet to flower, perhaps only because wet ground takes longer to warm at the start of the season (or indeed in the case of spring-water: never does warm!). 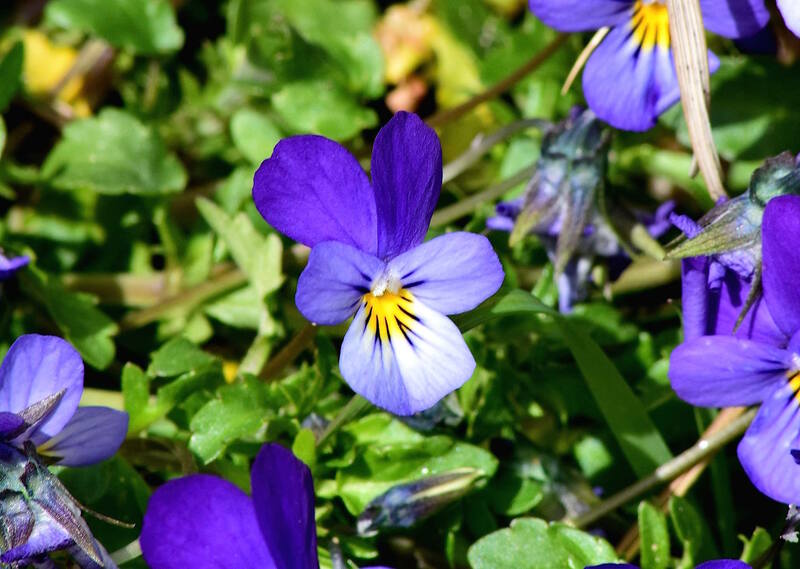 A perennial. 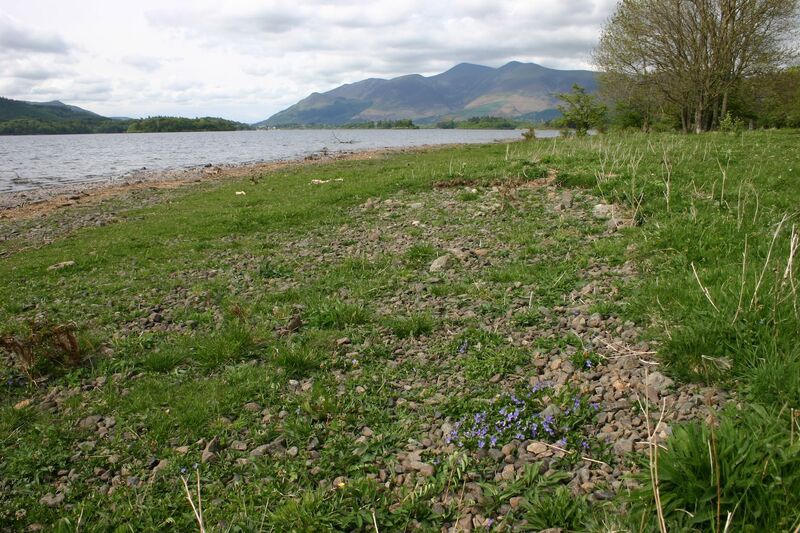 Mostly occurs above 300 metres a.s.l., and up to 855 metres in central Lakeland. 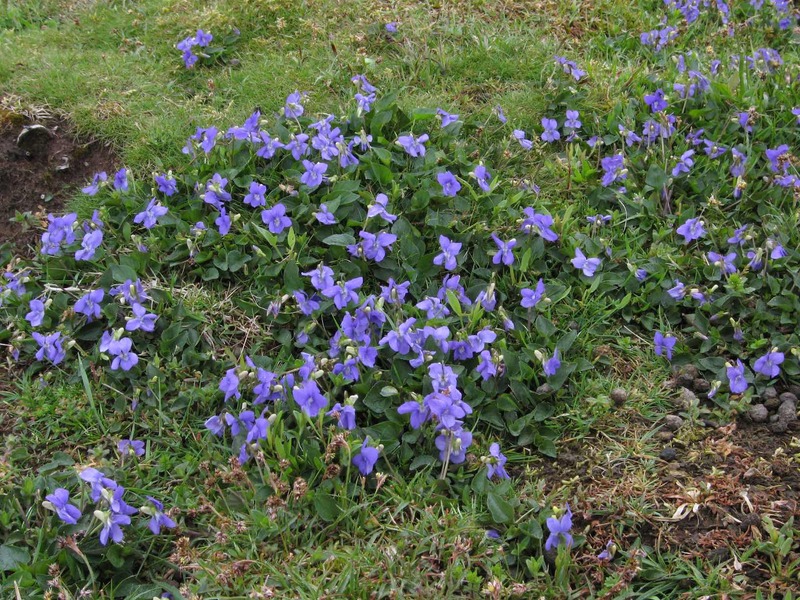 Usually purple-flowered in Cumbria, with some intermediates, as below. 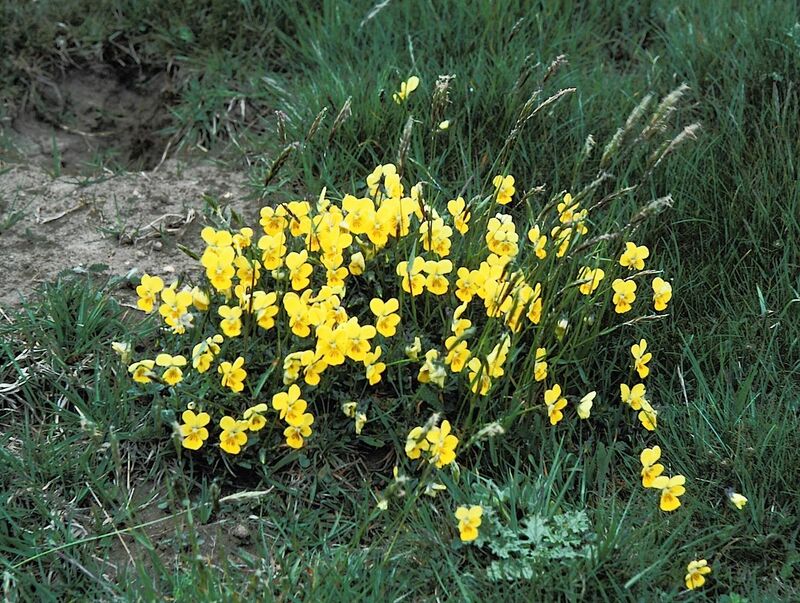 The yellow form (implied by ‘lutea’) is the typical form towards the southeast, and into the Yorkshire Dales. 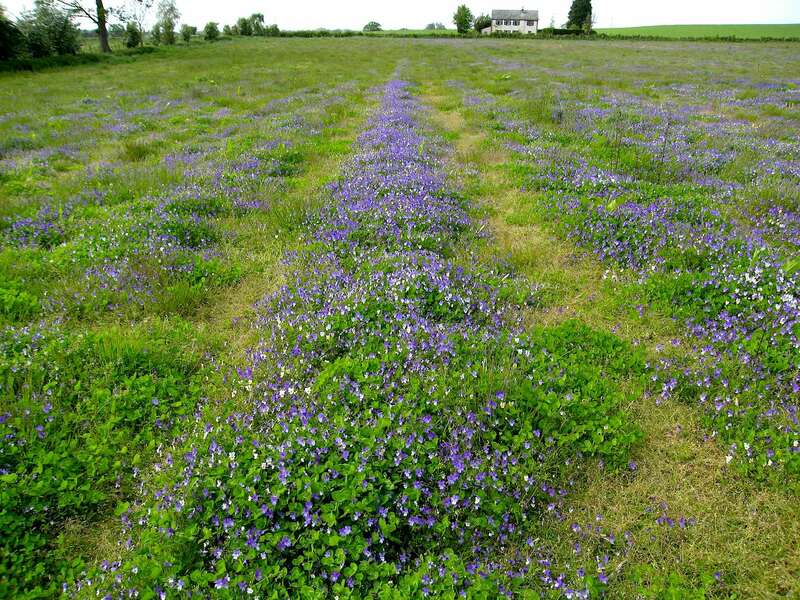 Similar ‘weedy’ species of transient habitats: field-edges, banks on sandy soils, etc. 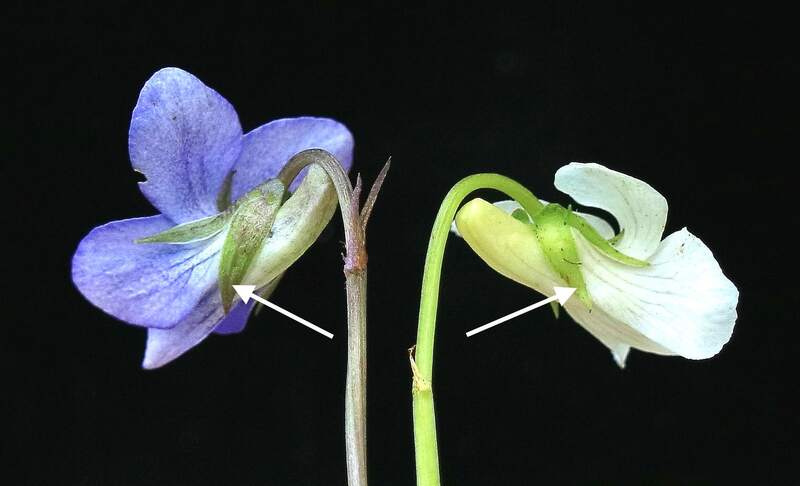 Field Pansy is annual, with smaller flowers, typically paler, yellow, and with the tips of the calyx lobes visible below the lower lip of the flower. There is much variation, however! 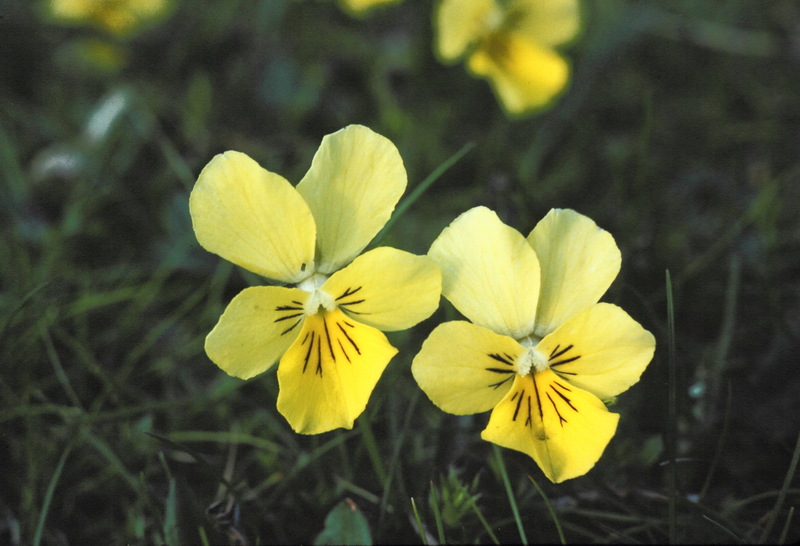 Interesting about the pansy hybrid pansy I found one in a set aside field by the Eden near Lazonby some years ago.